Right from when I was little I have been fascinated by weird things, you know. I liked watching X-men a lot so the idea of having powers that make you do things that others can't it an exciting feel for me. That being said, I really started writing after I read Prince Caspian of the Narnia series. 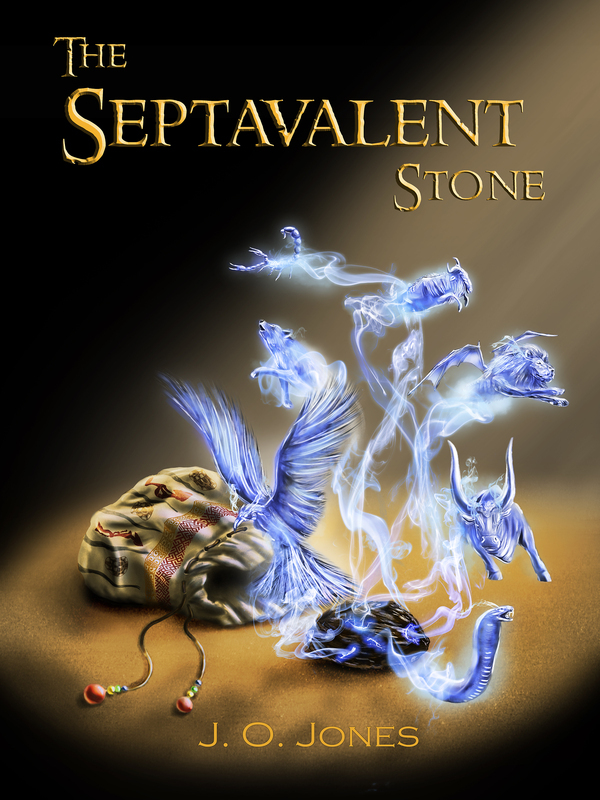 The Septavalent stone is a young adult novel set in two countries, Nigeria and Ukraine. It's about a boy called Andrew, who has a mother who is paranoid about almost everything including her brother Uncle Jeffery, and who is also not as normal as other mothers can be. Andrew gains admission into a medical school in Ukraine, but on getting there, he discovers it's not just a medical school, it's actually a school where apart from human beings, ghosts are treated, magical beasts and a couple of other paranormals stuffs. As the story unfolds, Andrew discovers new secrets about his family and himself, he also discovers a cousin he never knew existed, ad realizes that his mother is not all about cooking utensils and aprons but that in fact there is more to her paranoia and lies than meets the eyes. Do you have any other books in the pipeline? What are your goals for future projects? I am a sucker for magic, anything mystical (I hope my mum does not read this) Like I said before the idea that there are unexplainable powers is fascinating to me. Right now, because I'm on holiday, I am doing research on superstitions and myths of every country I can find. By the end of maybe next year, I hope to release a picture book drawn from my descriptions of all these superstitious creatures. Have you achieved your aim of writing The Septavalent Stone ? Partially yes. I think my main accomplishment will be when someone even if it''s just one person can truthfully say my book really did something to him or her in a positive way. And of course, I would love to sell loads and loads of my book. I have this very negative friend that almost sees nothing good in anything. He asked me he wanted to read my book. I refused, but he took it anyway and read it and kept saying it was really good. What really touched me though wasn't his comment. He actually finished it in two nights, because we had exams during the day, and we were both talking about the characters like they were real. Honestly, forget the sales, that was a golden moment for me. How are you enjoying being in Ukraine? How has the reception been like? It has been quite good that is if you don't count the time my initial illustrator stopped working with me when we met in a restaurant and he discovered I was black. But that was a good thing because right now, the comments I am getting for the book cover from my new illustrator is awesome. I think there is market in Nigeria if only we had our own SCHOLASTIC, PENGUIN, Simon &Schuster and stuff. Like the music industry that just exploded, the book industry can to. I don't think CHIMAMANDA would have been a hit in Nigeria if she wasn't already accepted in America. I think we are getting there though, I long for the day when I can send my manuscript to a Nigerian Literary agency who will reject it not because they can't relate with it, but because they are just not interested in it, or better still who will love it, and start discussing foreign rights and stuff. Do you agree that Nigerians have a poor reading culture and rarely read fiction? It's poor seriously. If the state of the reading culture was equivalent to the money in my pocket, I won't be able to afford to buy a pen. Everyone wants easy money, and how dare you tell me to read when I am hustling, or when I can sing and make ten times as more or something, do you get. I hope we'll get there someday. 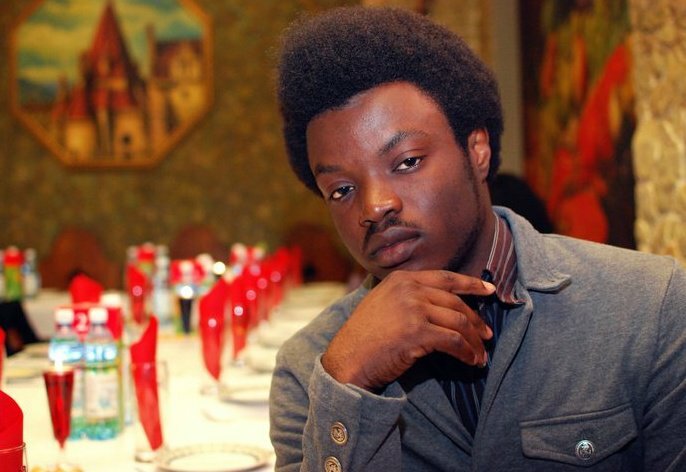 Before I joined all the Nigerian writing forums, let's just say I wasn't into Nigerian writing and stuff, but I have seen a lot of writing from Nigerians these days, and I'm like where the hell were all these people when I was writing my first draft, now I know I wasn't looking hard enough. Will your book be available in Nigeria? You know it's kind of hard ordering from Amazon in Nigeria, so for now, until I go back, I am not sure. I sent hard copies to a few Nigerians however. Not necessarily the world, but I would like to be at Hogwarts castle in the mornings and at night during breakfast and dinner. Tales of the dark forest by Steve Skidmore and Steve Barlow, and The strange case of William Whippersnapper, I loved the goosebumb and fear street series by R.L Stine. I liked Icarus girl too by Helen Oyeyemi. What's one piece of advice you would give other upcoming authors? If you love it, continue doing it. Obviously we all want to become rich with writing but if that's your goal, even if it ever happens, you would have died of frustration before it does. Just be patient, and when you feel down or less motivated go to you tube and watch authors during their book tours and signing. And try to perfect your autograph as well, so it looks good and artistic. My friends are not too happy with what I have done with the first pages of their text books. Chimaamanda Adichie, Jk Rowling and the two Steves I mentioned above. Because they have the ability to make their stories easy. They don't tell you what angle the sun sets, or how the color of a character's slippers is unnerving to another character or how many steps it takes to reach room 12, you get. They go straight to the point. I try to copy them in my writing, I am not sure if I did it successfully, but I think it's okay. This is a bad habit but I do it anyways. I have the habit of reading only the bad reviews of books I come across on Amazon, goodreads and smashwords, and you would think I should get used to it right? Wrong. I had a bad review once, and this was a bad review with venom, my world stopped for that whole day then the next day I received a completely opposite review, and then it hit me that not everyone would like my book, so I had to stop being a baby. The truth is that bad reviews will come, and it will slap you silly. You are allowed only one to two days to cry but any more than that then, you are on your own. Pick the useful points out of the review and discard the rest. Luckily for me the reviewer happens to be an author herself with an upcoming title, so using her review method and policy I will be reviewing her work too, and maybe I can "learn" to be a better writer from it. I would like a signed copy of Half of a Yellow sun, and if I can talk a little with the author that would be nice. Because in a way I think that she's a heroine. A Nigerian author whose book not only won awards, but actually sold a lot of copies, what else can I ask for. Where can you find you online, and also links to buy your book?